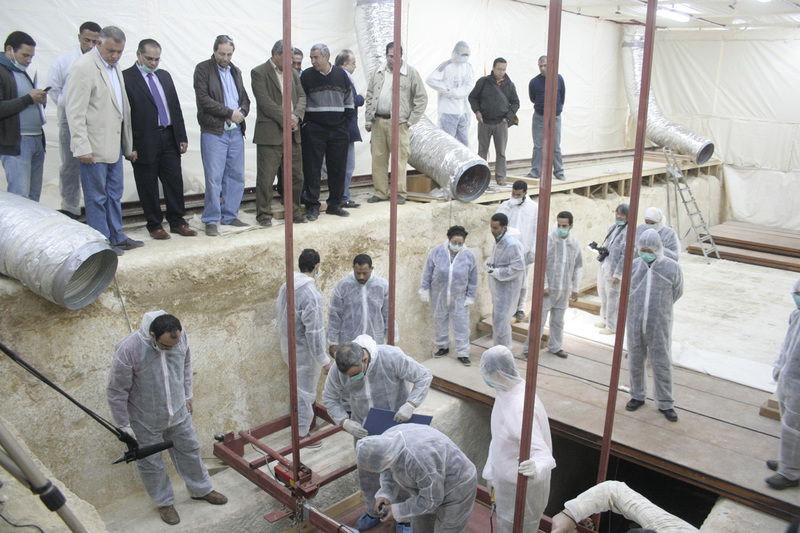 This morning Dr. Mostafa Amin (Secretary General of the SCA) and on behalf of Dr. Mohamed Ibrahim (Minister State of Antiquities) held an international press conference at the site to announce the beginning of the third stage of the restoration project of Khufu’s second solar boat. 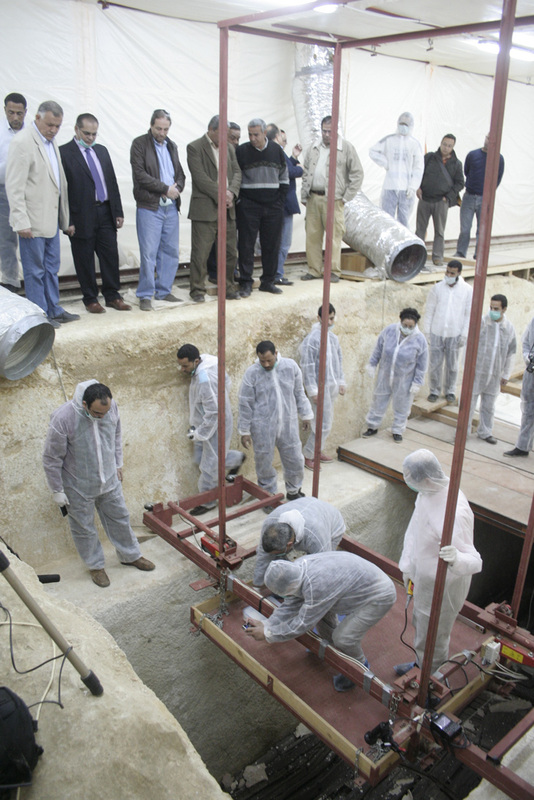 To the west of the first solar boat at Giza, the second solar boat was detected by electromagnetic radar in 1987 and since 2008 it has been the issue of research by the Egyptian Ministry of State for Antiquities in co-operation with a delegation from Waseda University and the Japanese Institute for Restoration Research. Dr. Mostafa Amin said that the team would collect samples of the boat’s wooden beams for analysis in Egypt and Japan in order to draw up accurate plans for the boat’s restoration in situ.